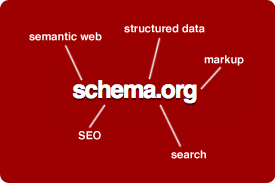 Schema.org is an initiative of the biggest search engines: Google, Bing (Microsoft), Yahoo and Yandex along with W3C organization which develops schemes and tags for labelling the elements of HTML5 code for websites and which is sponsored by the search engines’ owners. Formats such as Microdata, RDFa or JSON-LD can improve the semantics of the website’s code (SEO) by using a standardized code. In this tutorial you will find best practice for using Microdata which will help to optimize the search engine indexing. There is also data-vocabulary.org which has a similar use and application, also supported by Google, but this is a dated solution and schema.org is its successor. Although using schema.org tags can improve the code and help in website optimization for search engines, it is advisable to use them wisely. One needs to assess first whether specific tags are useful or not in a given position. It is important to be aware that using them increases the amount of data sent to a web browser, so the tags should not be overused. The point to give semantic meaning to parts of the code that will be detected by robots. It is a perfect solution for tagging specific relations in the HTML code such as header or footer, address, phone number, opening hours, product price, and users’ profiles.